Have you gotten some experience with right-brain sketching techniques but could use some help to take it to the next level? 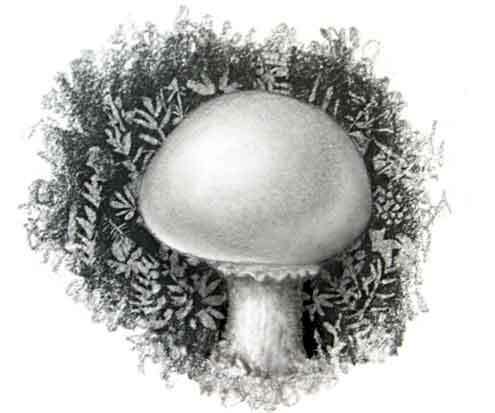 the use of cutouts, molds and erasers to create mossy and lace-like effects. Many of these techniques were invented by Irene, and previously were shared only with in-person workshop attendees. 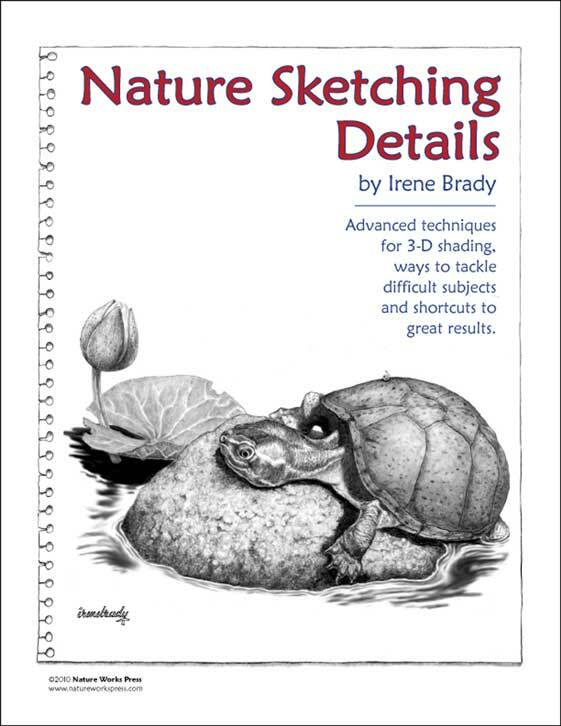 This is a fun workbook with three major projects designed for success: you'll draw and shade a cattail (with exploding fluff); you'll draw a furry mouse and its whiskers against a black background, and you'll create a small masterpiece of a mushroom on a mossy log. In her clear, simple, and lightly humorous fashion, Irene leads you through the various projects in dense detail, leaving nothing to chance. Photos and illustrations clarify every step and topic, and plenty of large, clear photos are provided for you to draw and shade from, although you're encouraged to use your own natural items if available. 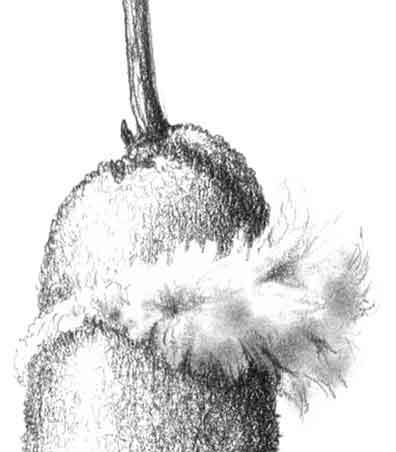 MossDone.jpg You'll be amazed at the soft fuzz on your cattail, the startlingly crisp whiskers on your mouse, and you'll just love your mushroom ~ fit for framing.